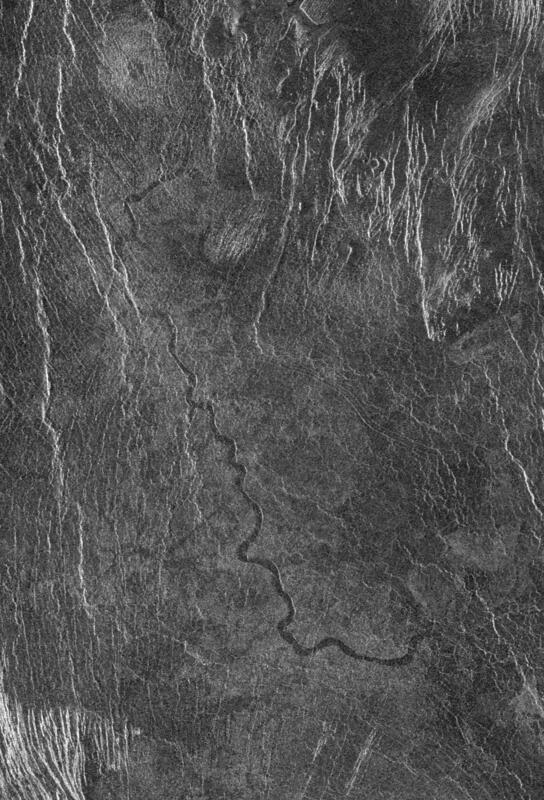 This full resolution radar mosaic from Magellan at 49 degrees south latitude, 273 degrees east longitude of an area with dimensions of 130 by 190 kilometers (81 by 118 miles), shows a 200 kilometer (124 mile) segment of a sinuous channel on Venus. The channel is approximately 2 kilometers (1.2 miles) wide. 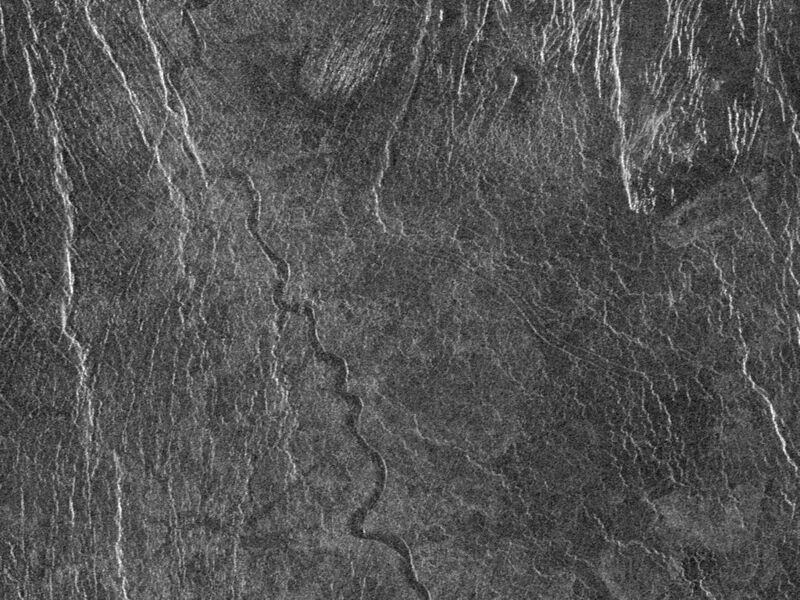 These channel-like features are common on the plains of Venus. In some places they appear to have been formed by lava which may have melted or thermally eroded a path over the plains' surface. Most are 1 to 3 kilometers (0.6 to 2 miles) wide. 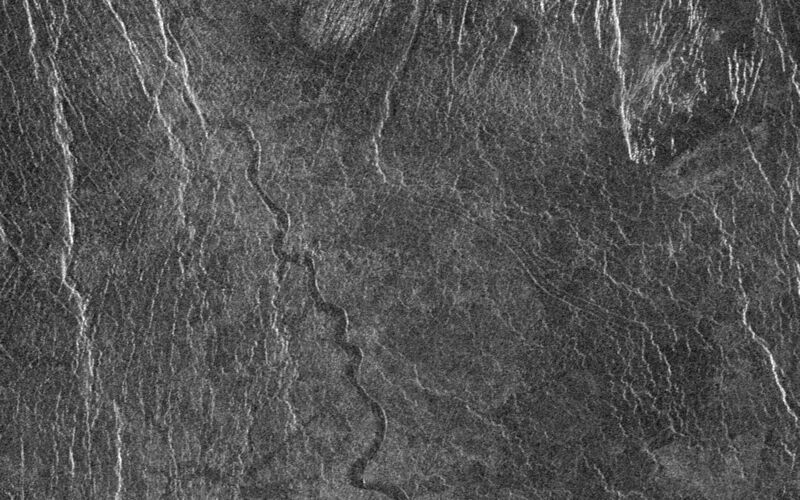 They resemble terrestrial rivers in some respects, with meanders, cutoff oxbows, and abandoned channel segments. However, Venus channels are not as tightly sinuous as terrestrial rivers. Most are partly buried by younger lava plains, making their sources difficult to identify. A few have vast radar-dark plains units associated with them, suggesting large flow volumes. 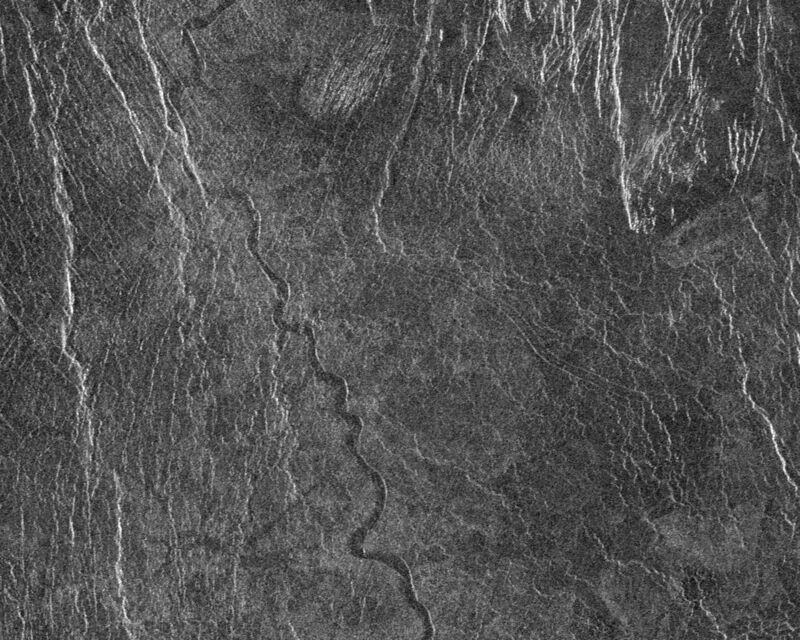 These channels appear to be older than other channel types on Venus, as they are crossed by fractures and wrinkle ridges, and are often buried by other volcanic materials. In addition, they appear to run both upslope and downslope, suggesting that the plains were warped by regional tectonism after channel formation. Resolution of the Magellan data is about 120 meters (400 feet).